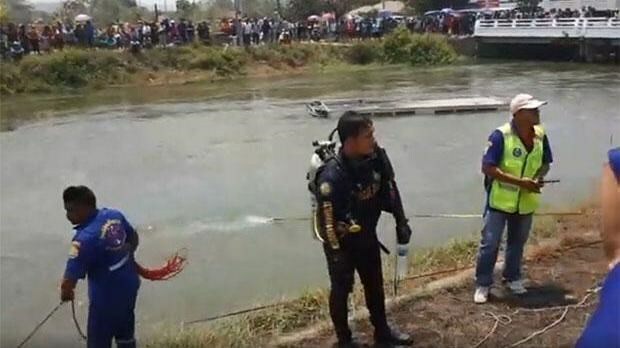 Bangkok (VNA) – Five Vietnamese workers were killed in a bus accident in Thailand on March 23 when a truck crashed into a 16-seat passenger car and both plunged into a canal in Tha Muang district, Kanchanaburi province. Around 100 rescue workers and police officers were rushed to the accident site. As of 1.40 p.m the same day, eight bodies had been recovered, including a pregnant woman. Meanwhile, four passengers were rescued and hospitalised. The workers’ employer said that the company will pay 50,000 bath (about 1,500 USD) for initial fees. The firm will also support the repatriation of each victim with 150,000 bath (about 4,500 USD).